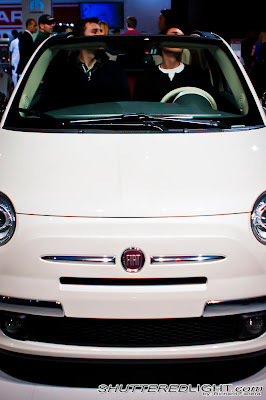 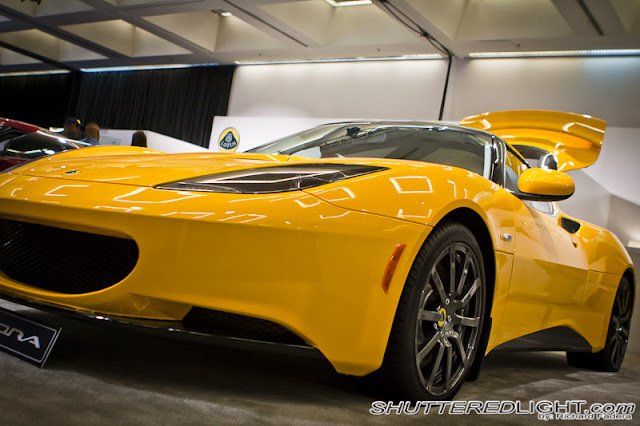 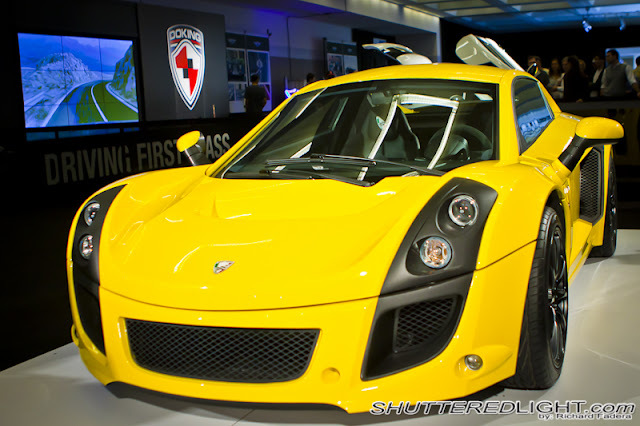 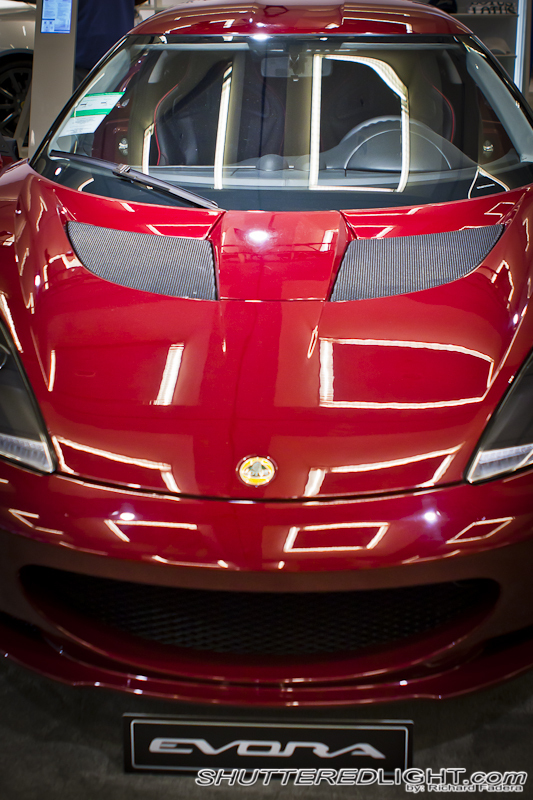 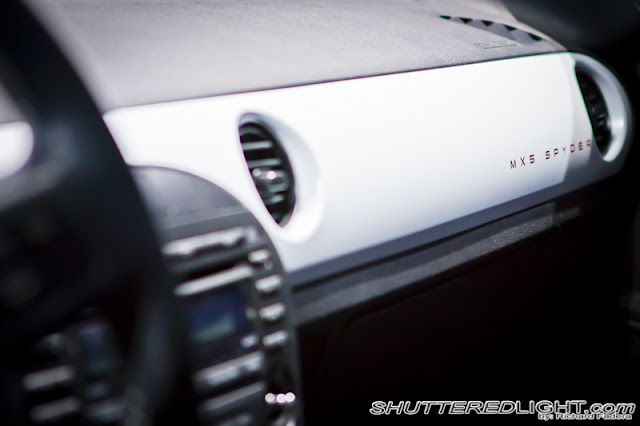 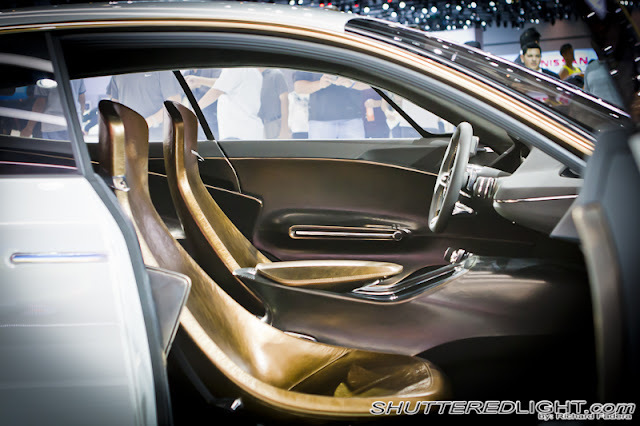 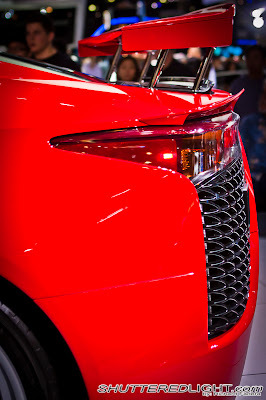 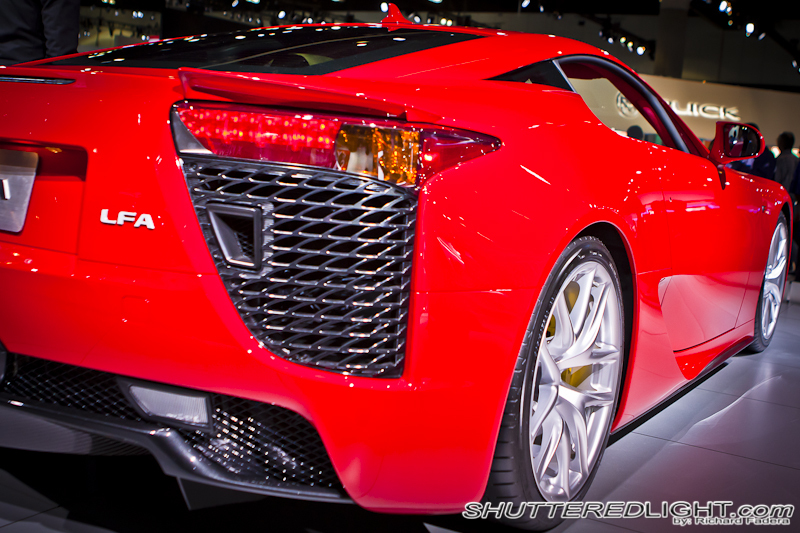 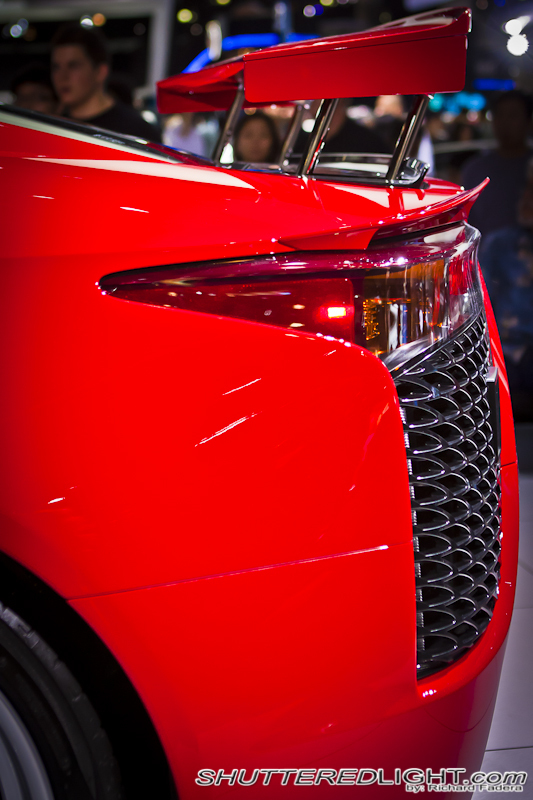 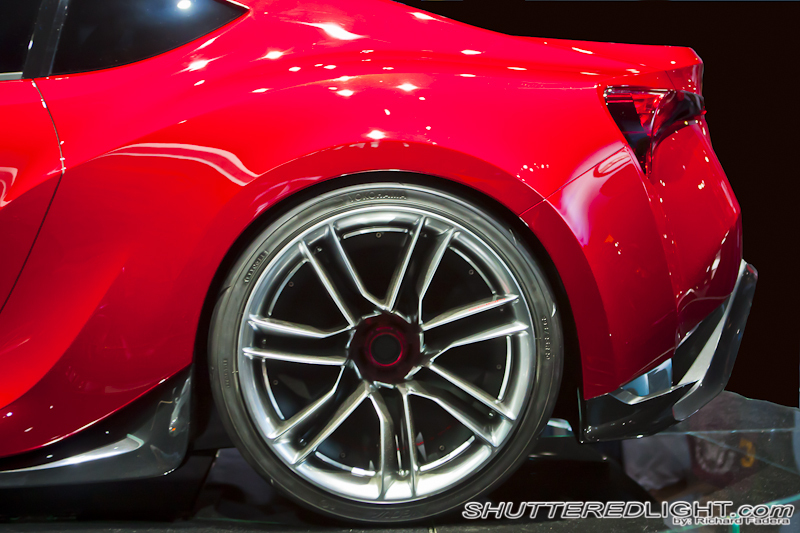 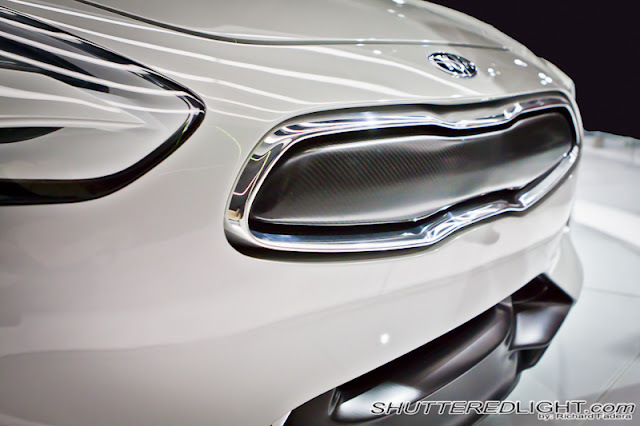 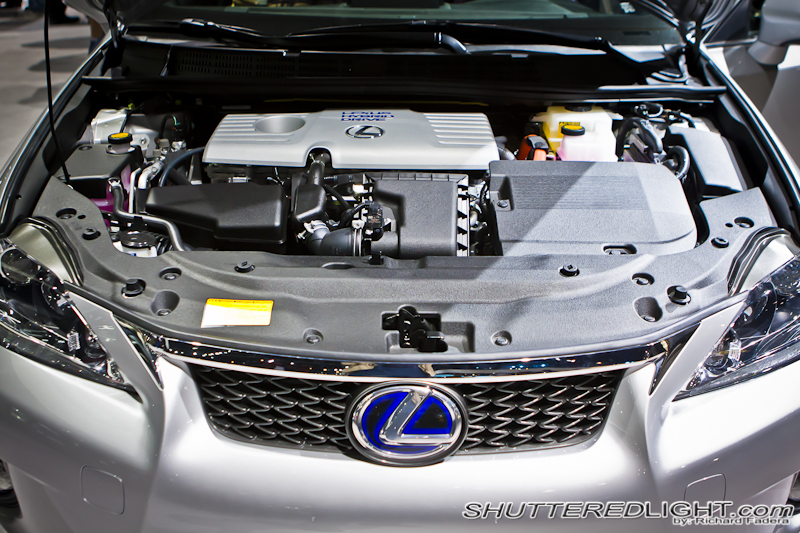 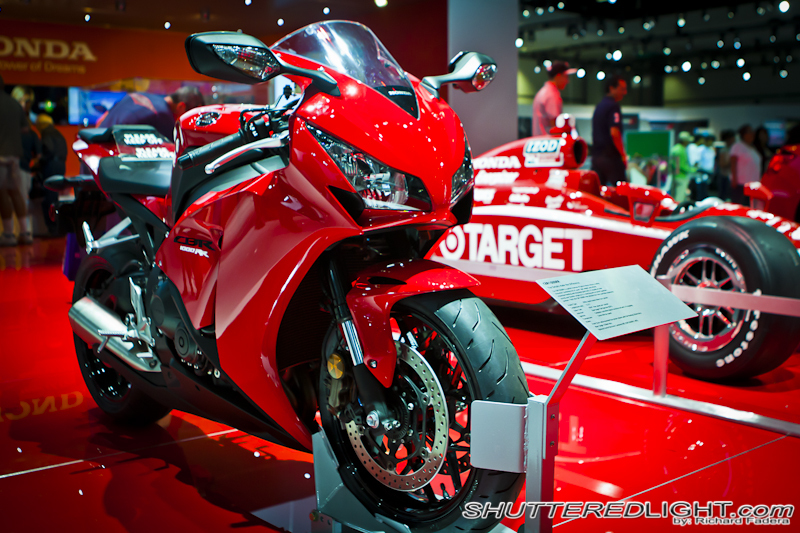 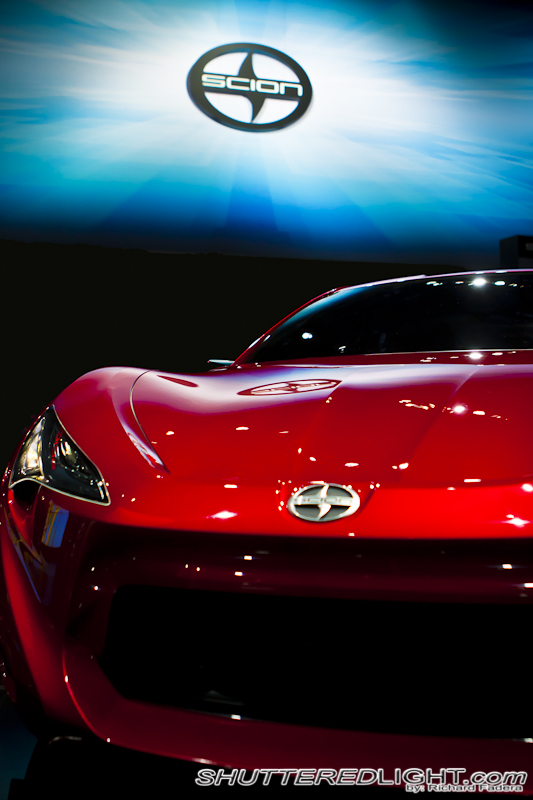 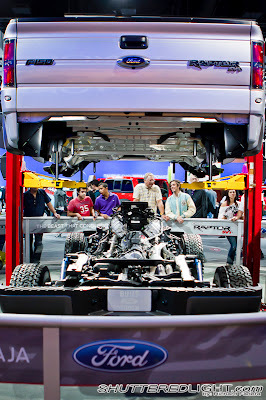 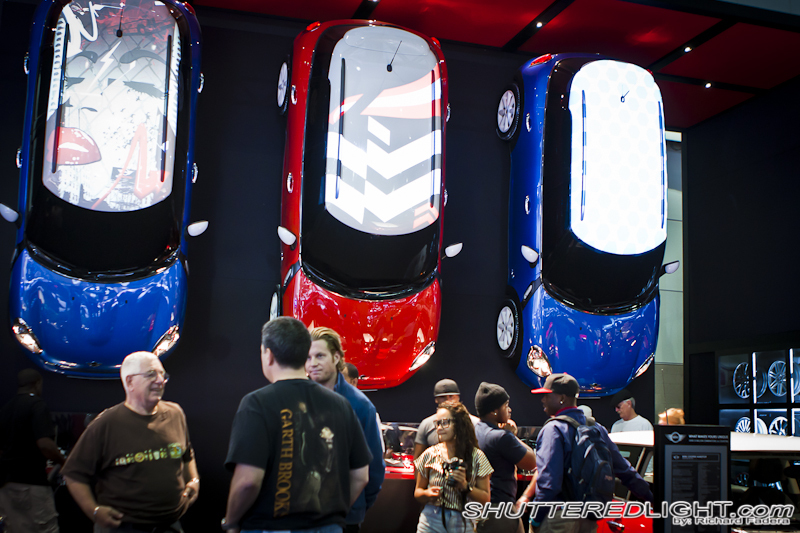 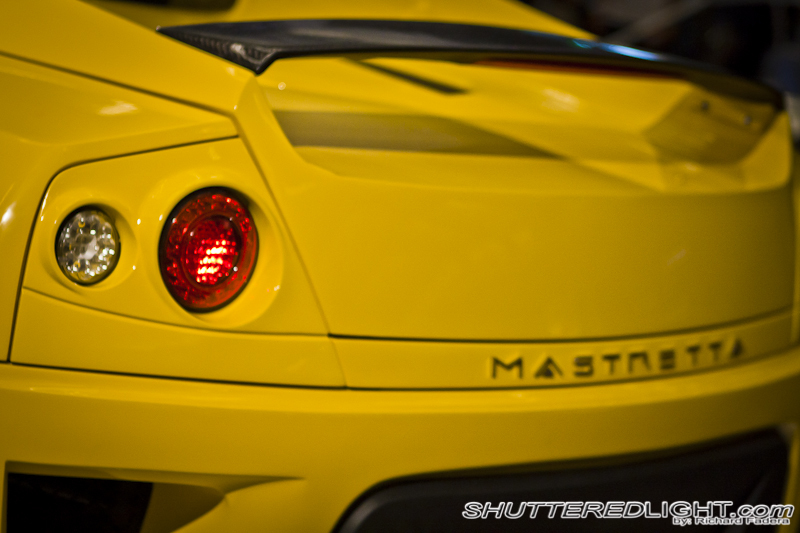 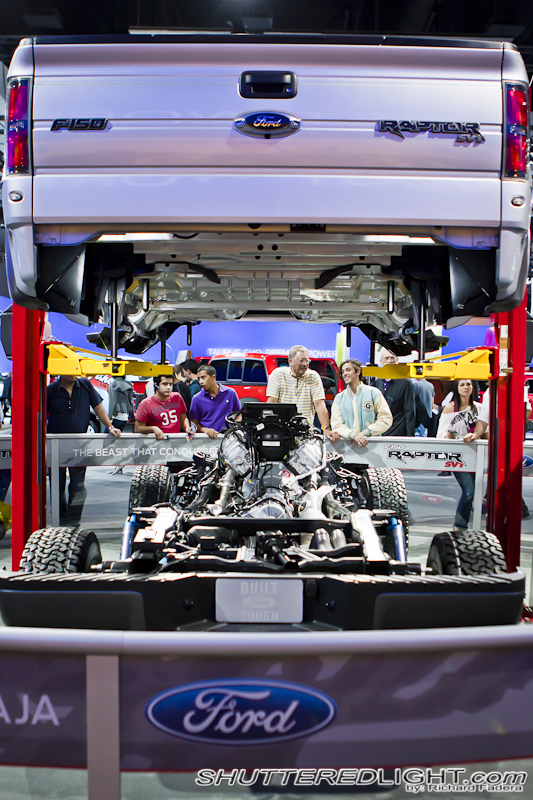 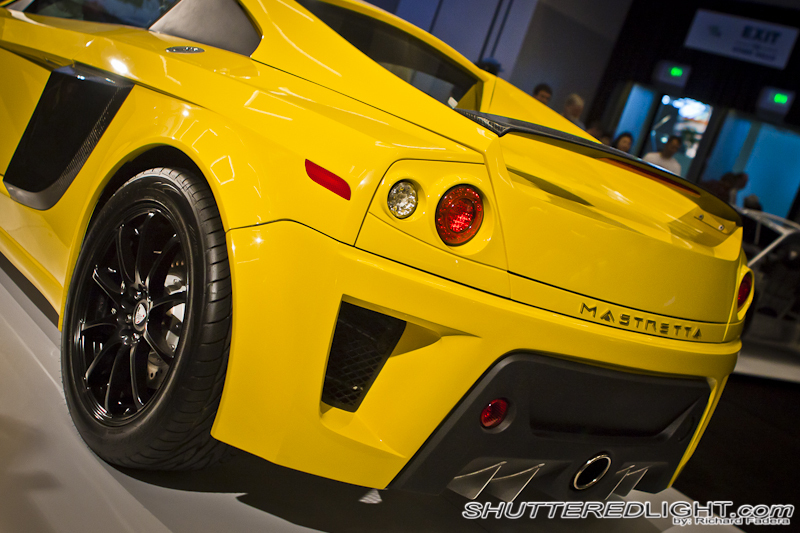 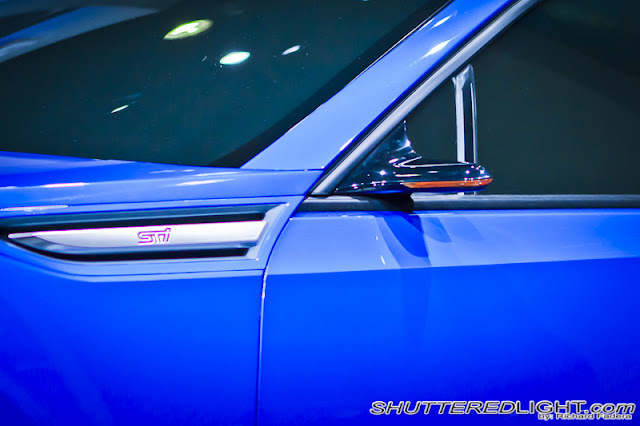 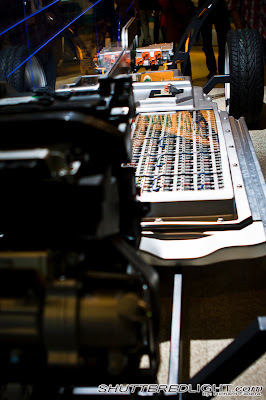 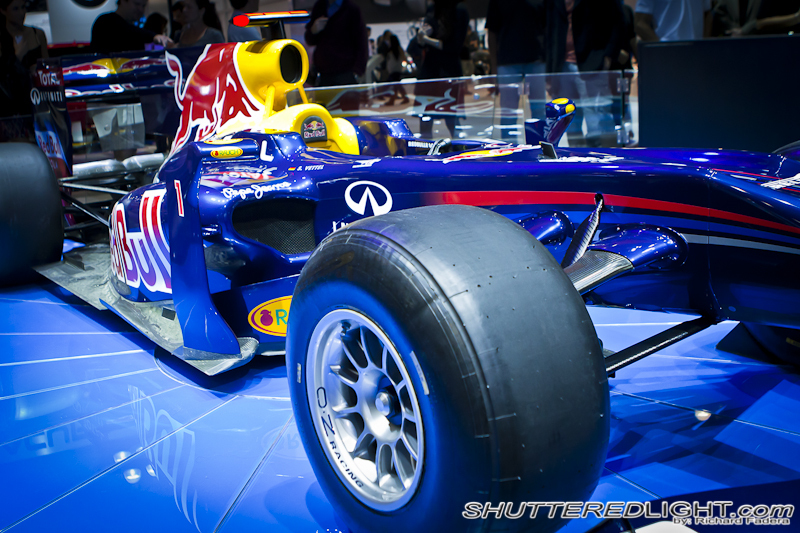 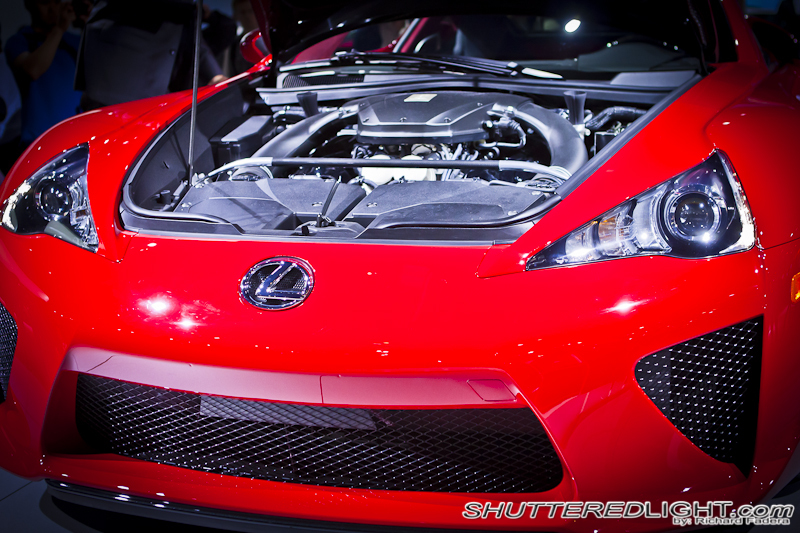 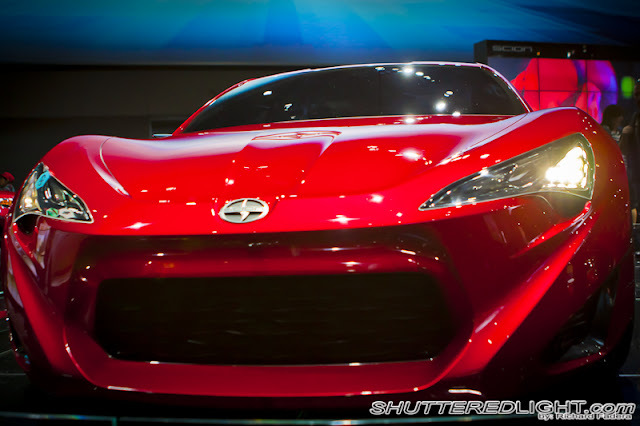 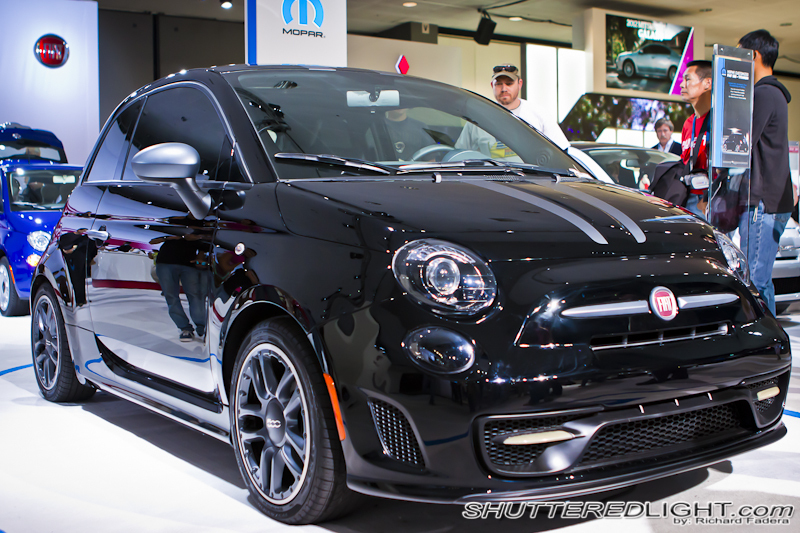 Los Angeles Auto Show was held November from November 18-27, 2011 at the LA Convention Center. 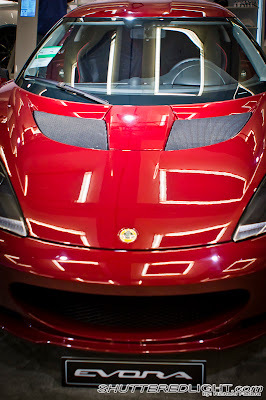 My friend JB and I went November 26, Saturday after getting complimentary tickets. 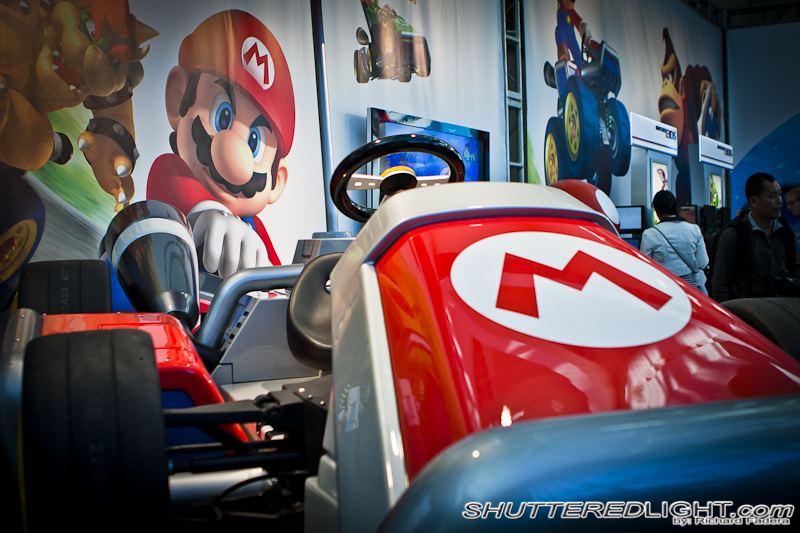 The first car that welcomed us was Mario's Go Kart. 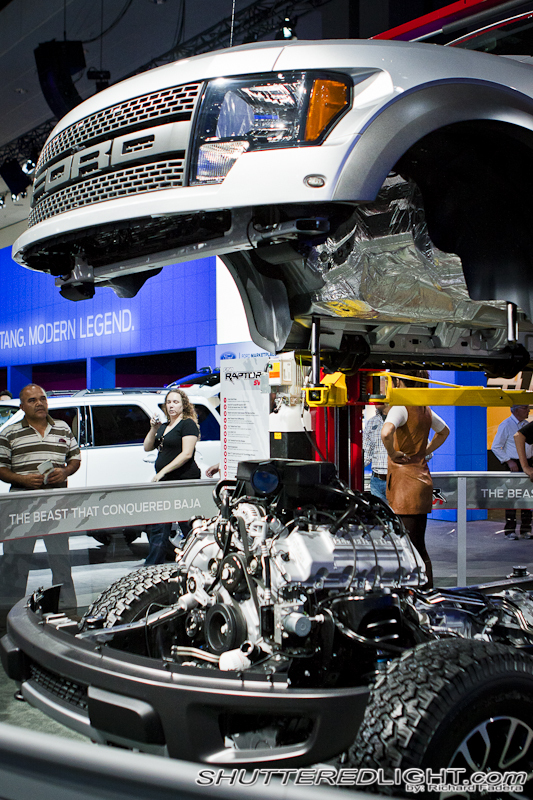 There were a lot of car manufacturers who were present during the show. 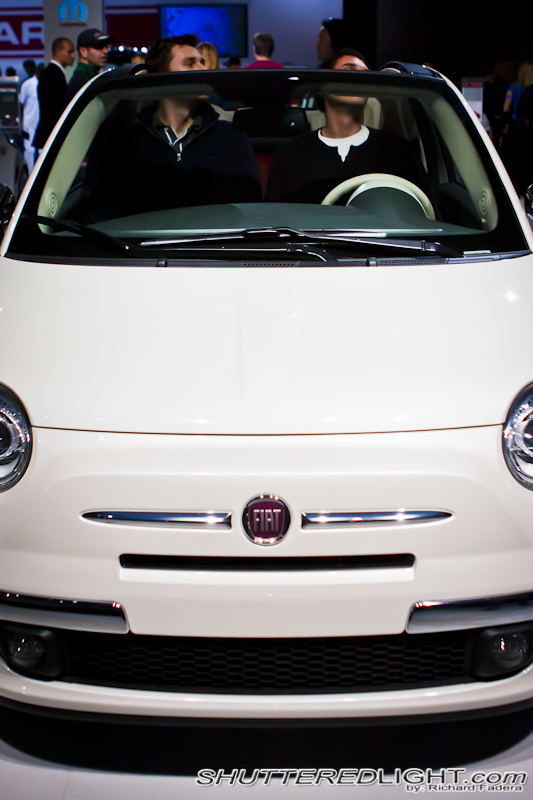 Fiat had their stage showing the new Fiat 500. 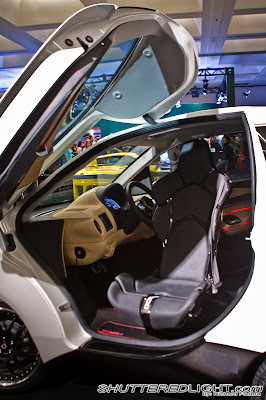 There were a bunch of people who went in the car and sat to try it out. 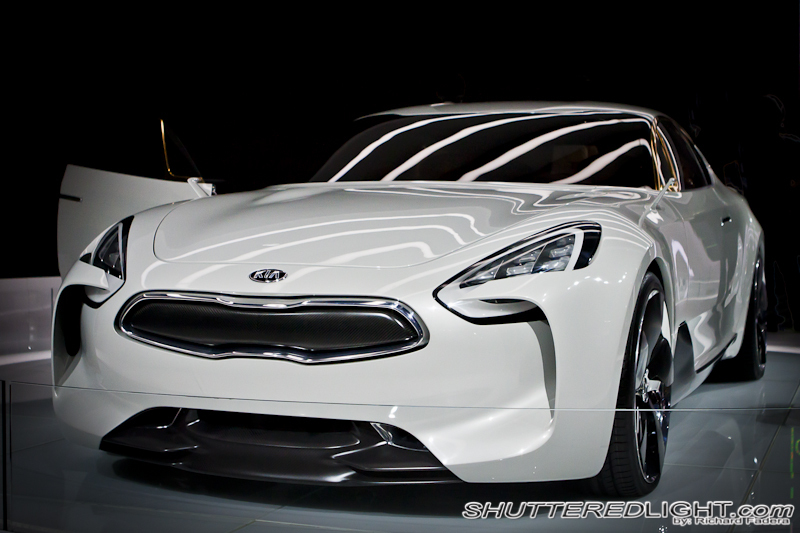 Kia was also present showing their current line up but the car that caught people's attention was their super car concept Kia GT. 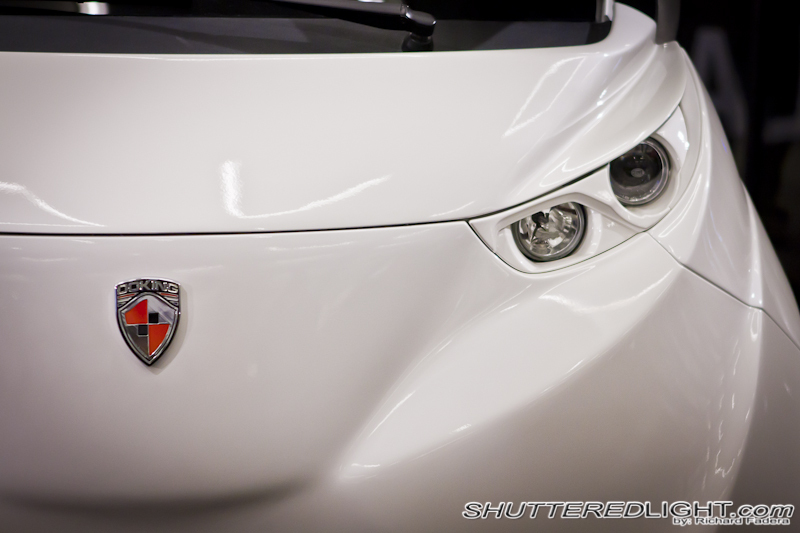 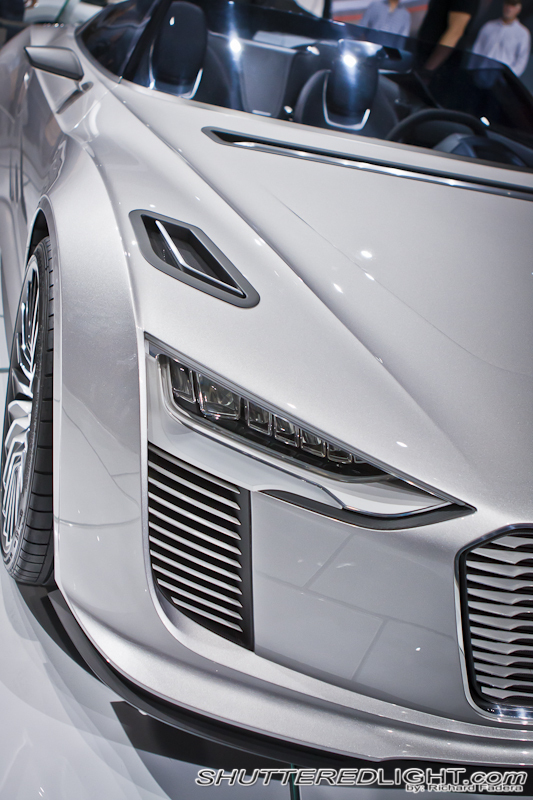 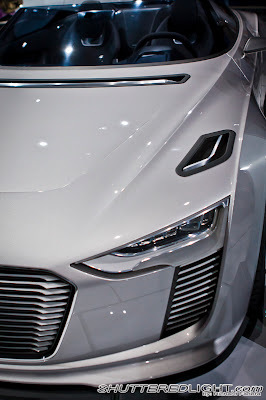 The super car concept does not have side mirrors rather side cameras. 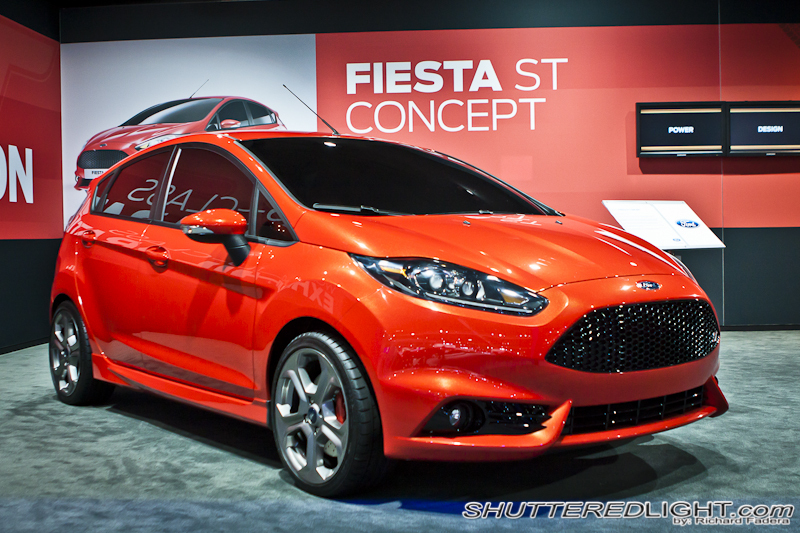 Ford also displayed their concept Fiesta ST.
Aside from domestic cars, there were several foreign car manufacturers who were present like Mastretta. And Croatia's Dok-ing showing off their electric car XD. 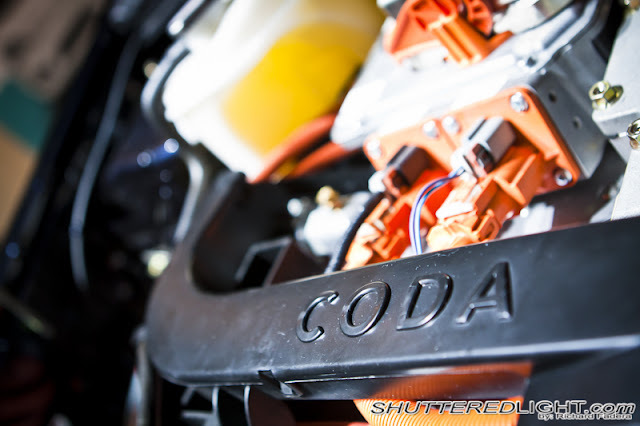 And another electric car by Coda. And at the Subaru's lounge, the main attraction was their version of joint project between Subaru and Toyota concept car based on FT86 reviving Toyota Corolla AE86. 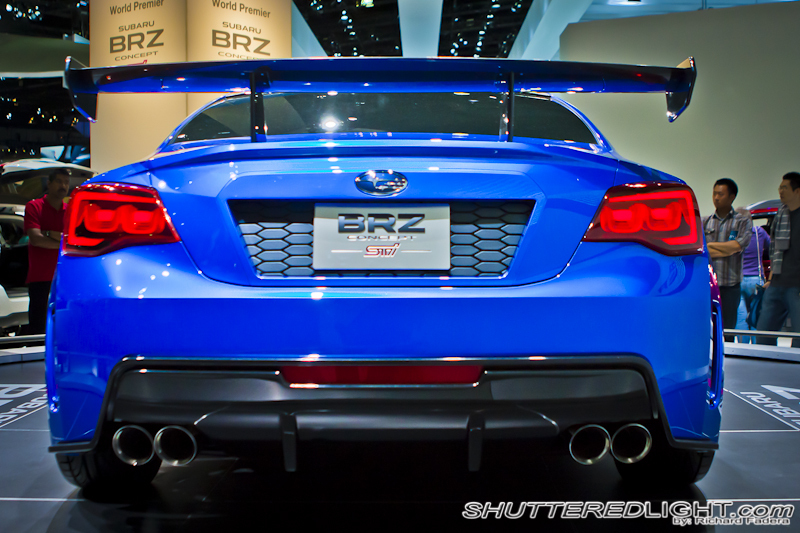 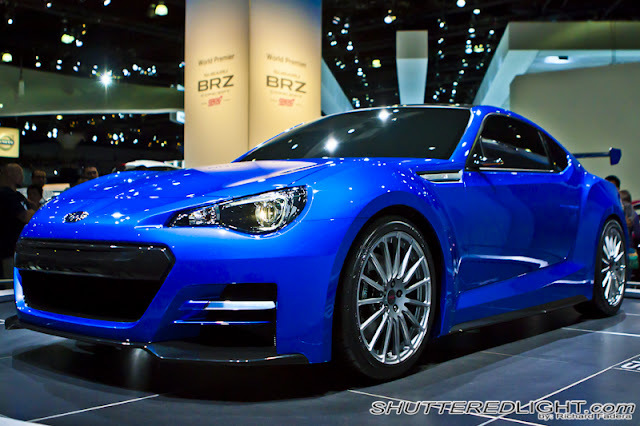 Subaru calls their concept as Subaru BRZ. 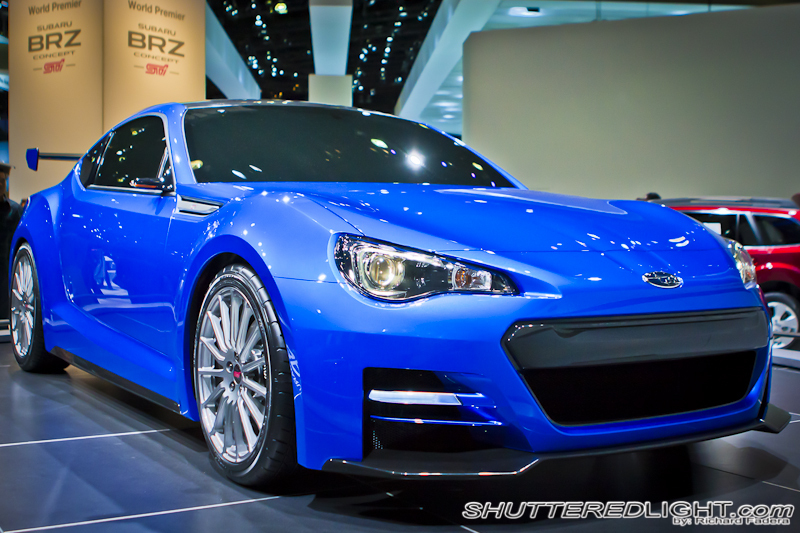 As a RWD, I am pretty sure that not just the drifters but as well as car enthusiast will love BRZ as this goes to production. 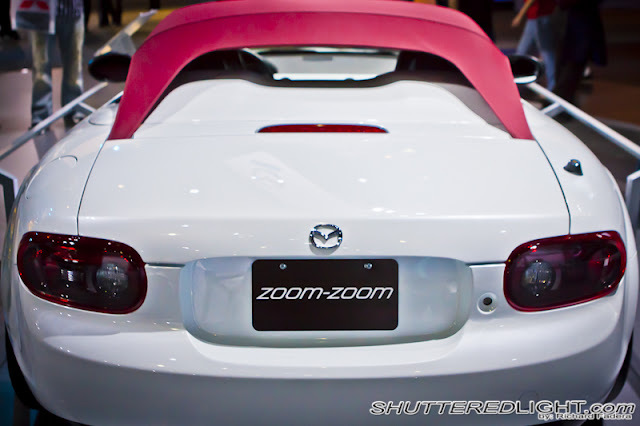 I noticed that the trend is removing the side mirrors and replacing with small side cameras. 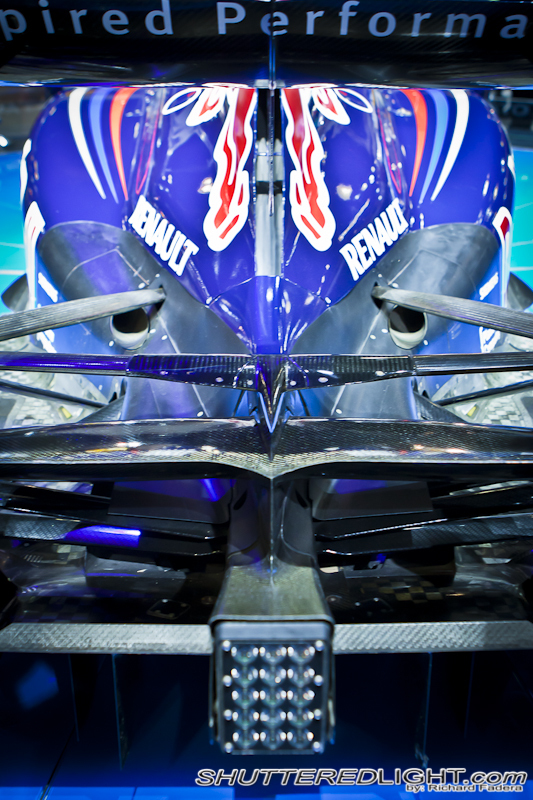 Better aerodynamics? 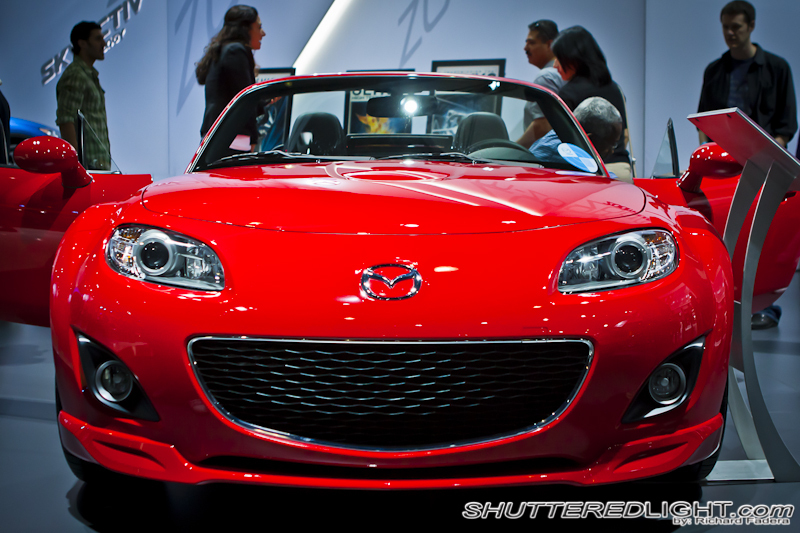 Mazda showed their fleet but what got my attention was the new MX5. 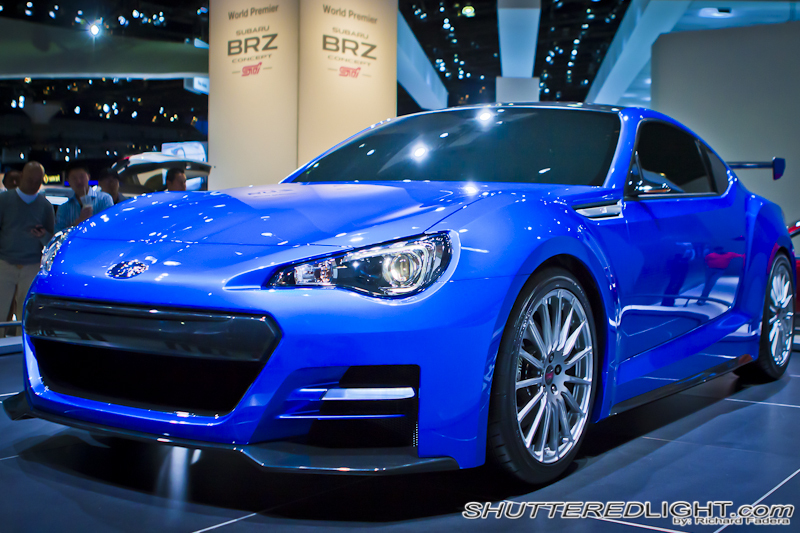 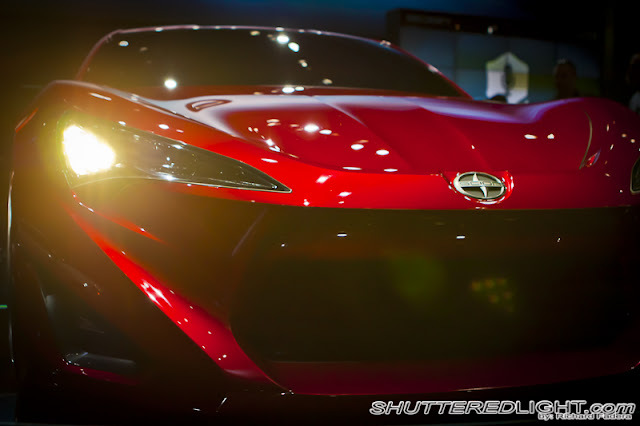 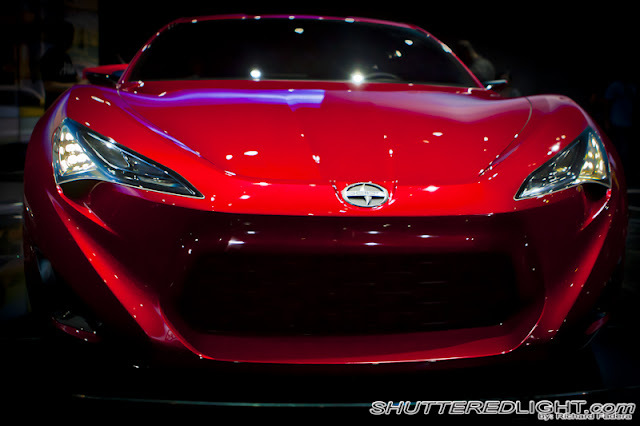 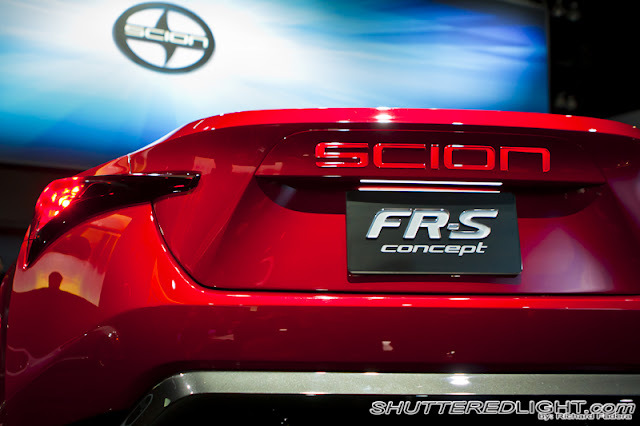 Like the Subaru BRZ, Scion FRS is a RWD and it will be available Summer 2012. 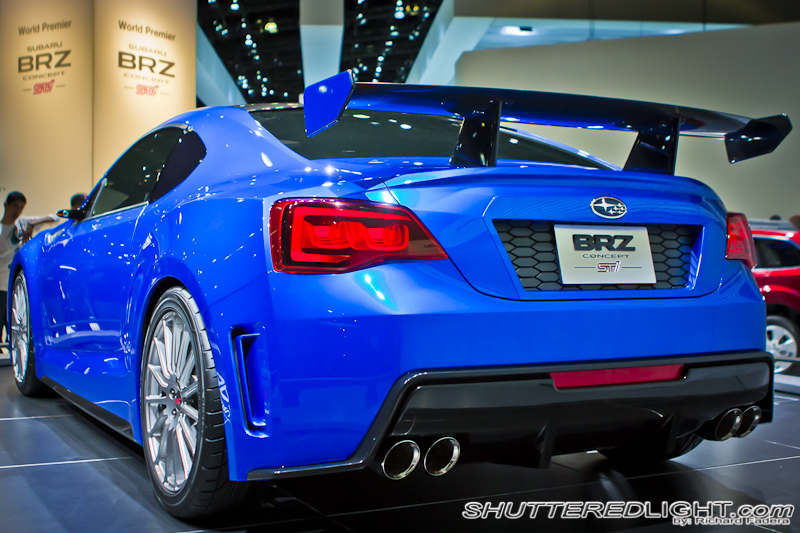 I can feel that there are a lot of tuners can not wait to get one at their shops. 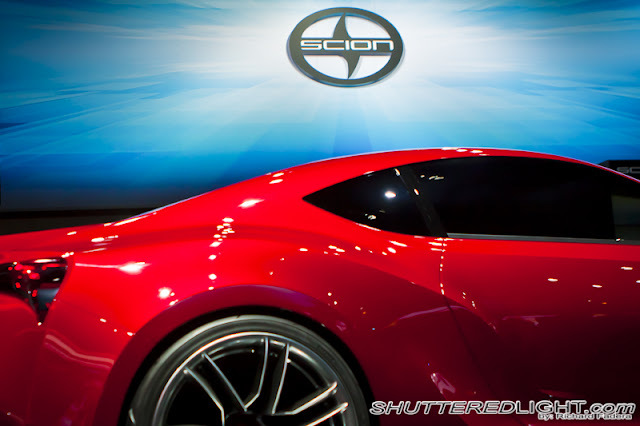 Aside from tuners, I am pretty sure Scion Racing will debut Scion FRS in Formula D... 2012? 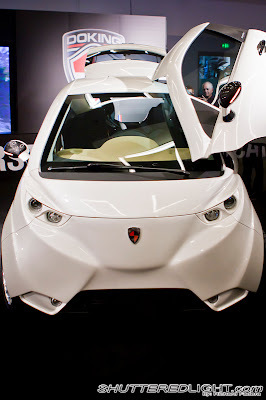 2013? 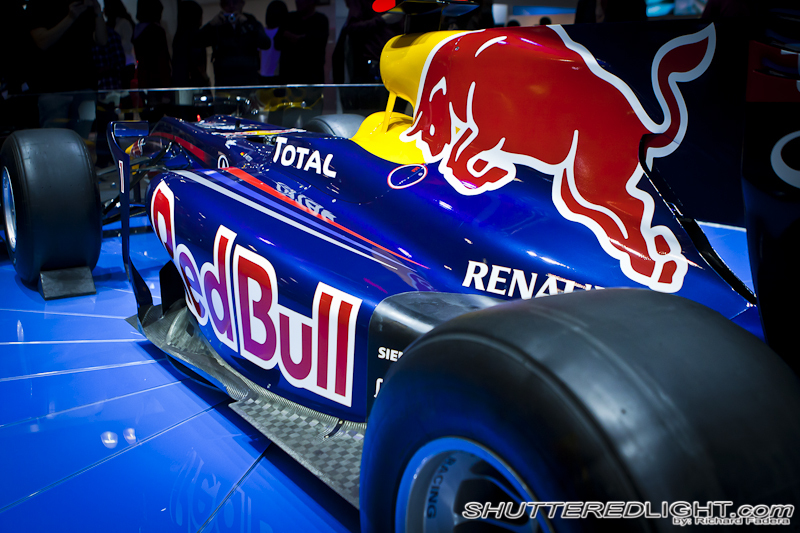 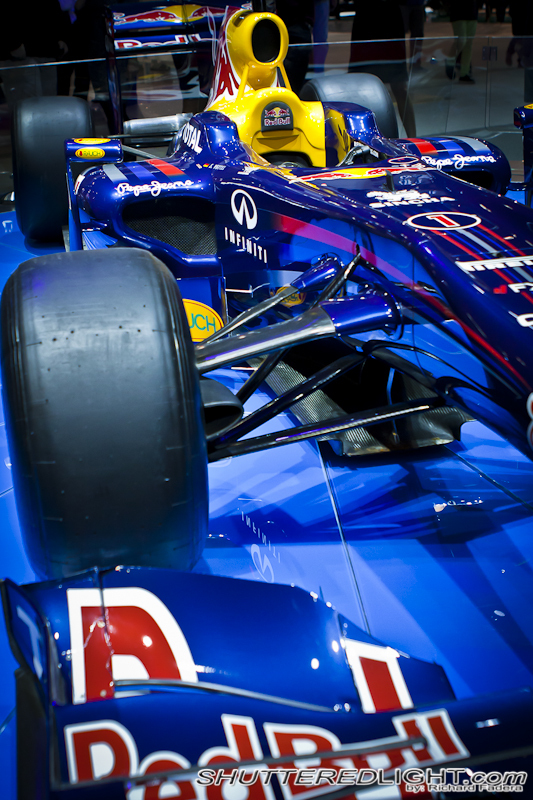 Infiniti have the Red Bull Renault F1 on display. 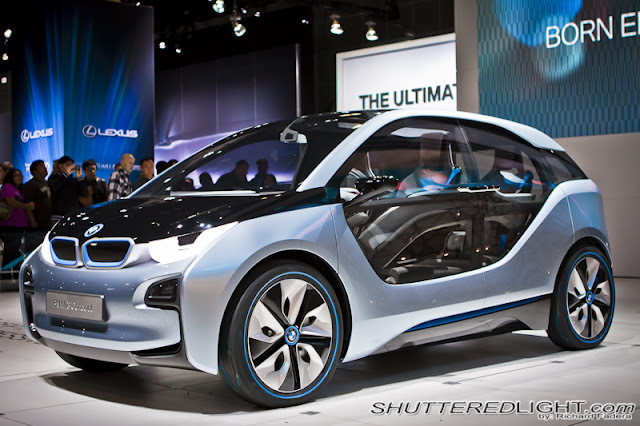 BMW also have their eco friendly cars on display. Here is BMW's all electric i3 concept. 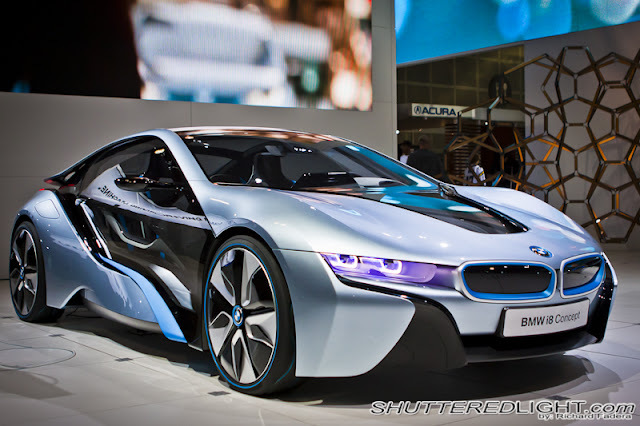 And BMW's plug-in hybrid i8 concept. 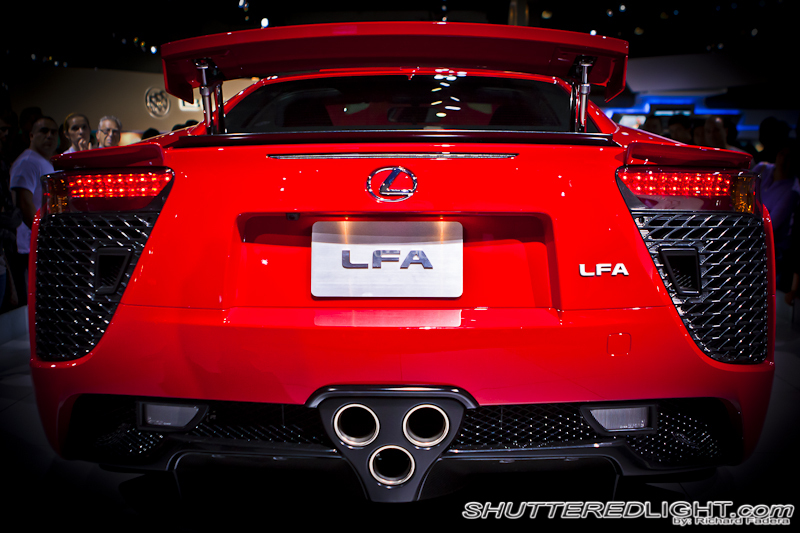 Lexus also have their super car LFA on display. 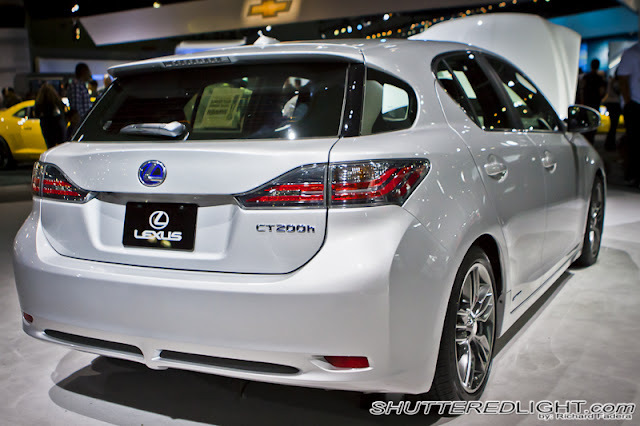 Lexus also had their eco-friendly car CT200h on display. 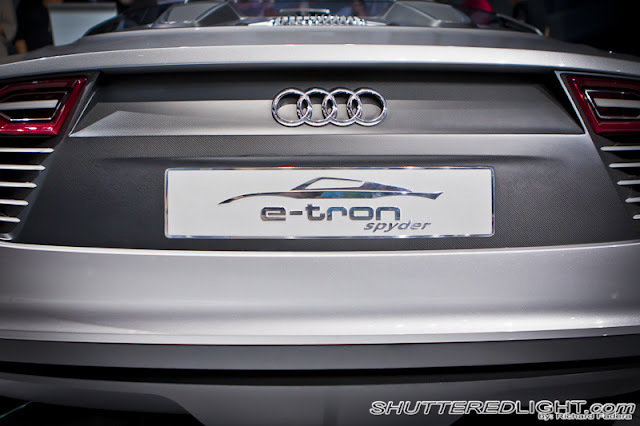 The e-tron spyder was the main attraction from Audi. 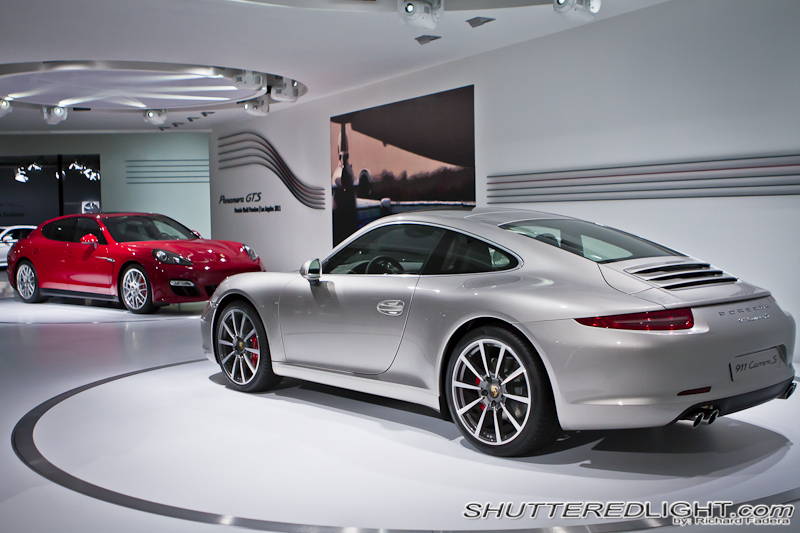 Porsche also showed their fleet on a rotating stage. 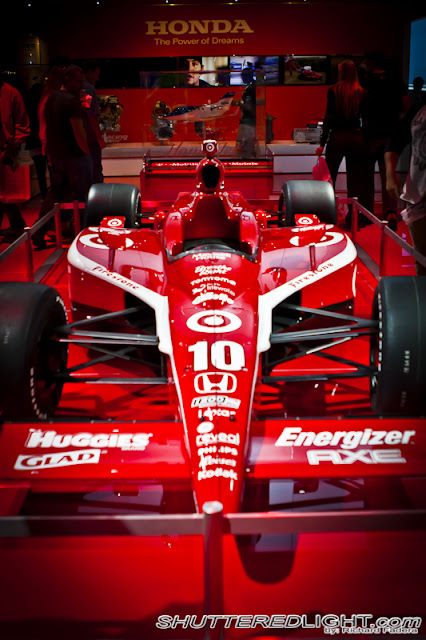 Honda also have their Target F1 car on display. 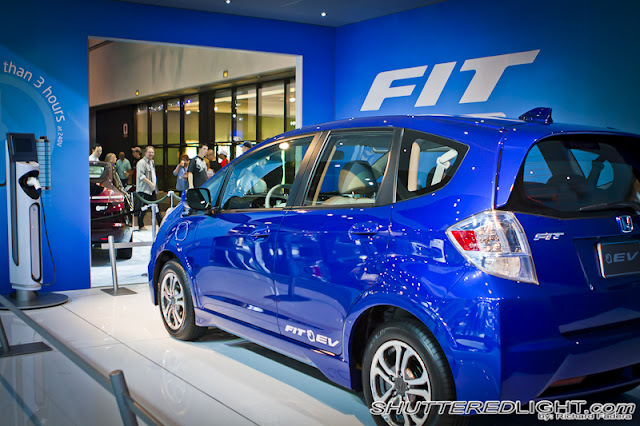 And the eco friendly version of Honda Fit. 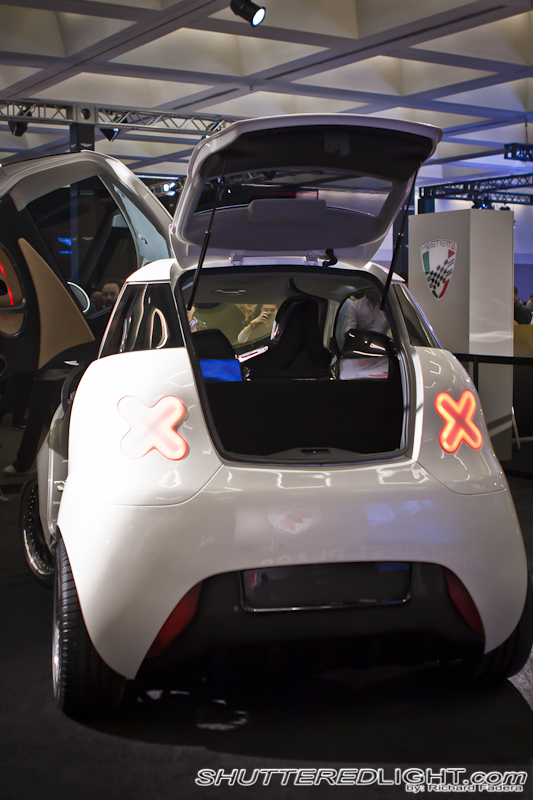 Overall, there were a lot of unique concept cars and eco friendly cars that were displayed on the show. 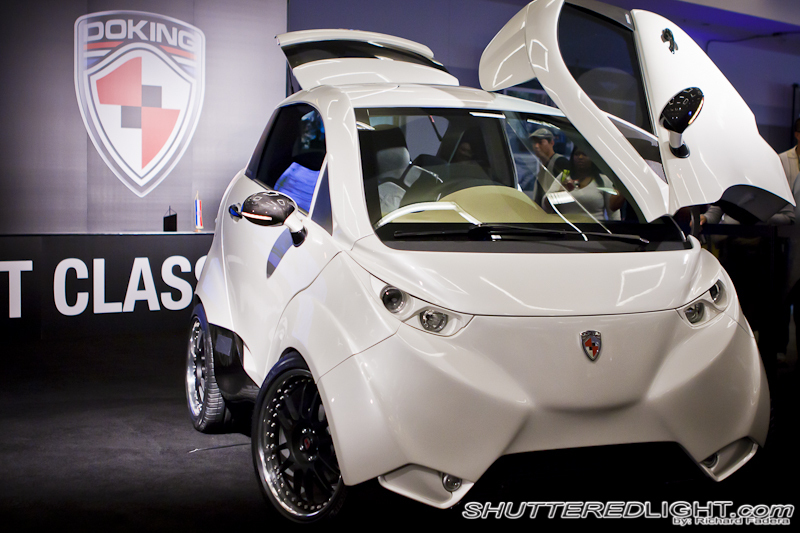 I can not wait until theses concept cars hits production and see these beauties out on the streets and at the tracks. 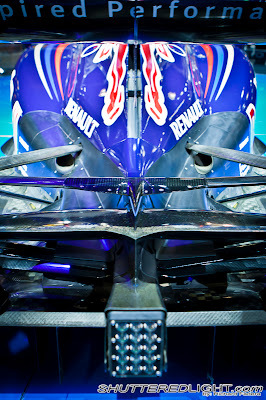 To see the full gallery, you can go to our Flickr account. 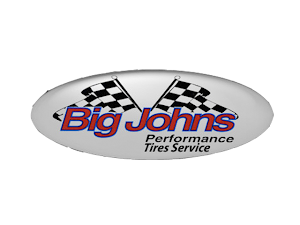 Also you can view it in Facebook and help us spread the word by liking us.